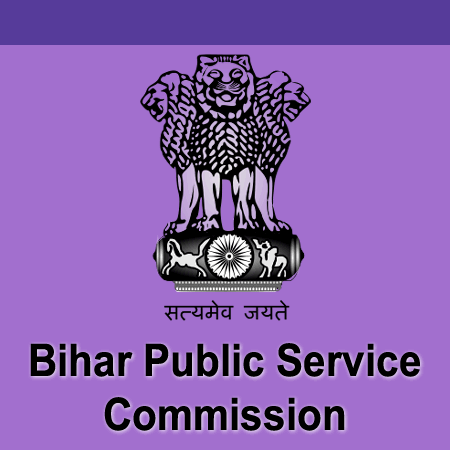 BPSC Result 2019: Below are the latest results published by BPSC - Bihar Public Service Commission / www.bpsc.bih.nic.in. The recent result announced by the organization is Assistant Professor (Political Science) Result 2019. BPSC Assistant Professor (Political Science) Result 2019: Bihar Public Service Commission has announced the Result on 25 Apr 2019 for the exam . BPSC Assistant Professor (Zoology) Revised Result 2019: Bihar Public Service Commission has announced the Result on 16 Apr 2019 for the exam . BPSC 30th Bihar Judicial Services Pre Additional Result 2019: Bihar Public Service Commission has announced the Result on 28 Mar 2019 for BPSC 30th Bihar Judicial Services Pre Additional Exam 2019 . BPSC Assistant Director (Bihar Agriculture Services) Result 2019: Bihar Public Service Commission has announced the Result on 14 Mar 2019 for the exam . BPSC AE (Civil) Pre Result 2019: Bihar Public Service Commission has announced the Result on 14 Mar 2019 for AE (Civil) Pre Exam 2018 which was conducted on 16 Sep 2018. BPSC AE Mechanical Pre Result 2019: Bihar Public Service Commission has announced the Result on 13 Mar 2019 for the exam . BPSC Assistant Professor (Sanskrit) Revised Result 2019: Bihar Public Service Commission has announced the Result on 23 Feb 2019 for the exam . BPSC Assistant Professor (Zoology) Revised Result 2019: Bihar Public Service Commission has announced the Result on 23 Feb 2019 for the exam . BPSC Assistant Professor (Hindi) 2014 Result 2019: Bihar Public Service Commission has announced the Result on 13 Feb 2019 for BPSC Assistant Professor (Hindi) Exam 2014 . BPSC Assistant Engineer (Civil) 2017 Additional Result 2019: Bihar Public Service Commission has announced the Result on 11 Feb 2019 for BPSC Assistant Engineer (Civil) 2017 Exam . BPSC 60th to 62nd Common Combined Competitive Exam Final Result 2019: Bihar Public Service Commission has announced the Result on 01 Feb 2019 for the exam . BPSC Asst. Engineer Pre Exam Result 2019: Bihar Public Service Commission has announced the Result on 31 Jan 2019 for BPSC Asst. Engineer Pre Exam 2019 . BPSC 30th Bihar Judicial Services (Pre) Competitive Exam Result 2019: Bihar Public Service Commission has announced the Result on 07 Jan 2019 for BPSC 30th Bihar Judicial Services Exam 2018 . BPSC Assistant Professor (Zoology) Result 2018: Bihar Public Service Commission has announced the Result on 06 Dec 2018 for BPSC Assistant Professor (Zoology) Exam 2018 . BPSC Bihar Combined 60-62 Exam Mains Result 2018: Bihar Public Service Commission has announced the Result on 03 Nov 2018 for BPSC Bihar Combined 60-62 Exam Mains 2018 . BPSC Assistant Professor (Botany) 2014 Final Result 2018: Bihar Public Service Commission has announced the Result on 22 Oct 2018 for the exam . BPSC Assistant Professor & Lecturer 2014 Final Result 2018: Bihar Public Service Commission has announced the Result on 22 Oct 2018 for the exam . BPSC Accounts Officer 2015 Final Result 2018: Bihar Public Service Commission has announced the Result on 01 Oct 2018 for the exam . BPSC 63rd CCE Result 2018: Bihar Public Service Commission has announced the Result on 18 Sep 2018 for the exam .